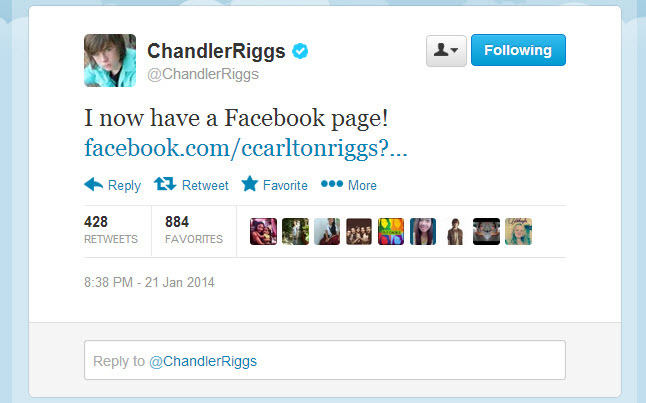 Chandler Riggs, who plays Carl Grimes on The Walking Dead, finally got around to making a Facebook page. Chandler recently announced the news on his verified Twitter account back on January 21st. There are a few fan pages about Chandler Riggs that I found just in case you were following what you thought was the real Facebook page. There are many out there, but here are a few fan pages I found. 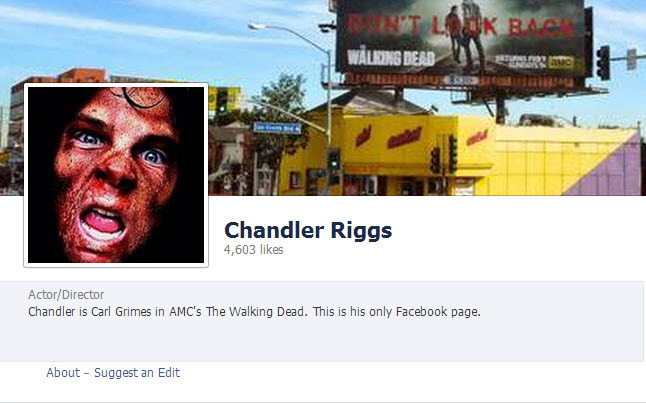 If you’re a fan of Chandler Riggs, or just The Walking Dead, be sure to check out his Facebook page. He could post some stuff that might be pretty cool to check out! The Walking Dead will return this February 9th at its normal Sunday time slot on AMC.